Our Honey Pots holds at least 16 ounces. Each is about 4.5 inches high and about 4 to 4.5 inches across at their widest. The mouth opening is about 3.75 inches across so large size spoon will not be difficult to use Sizes do vary in hand hand containers. 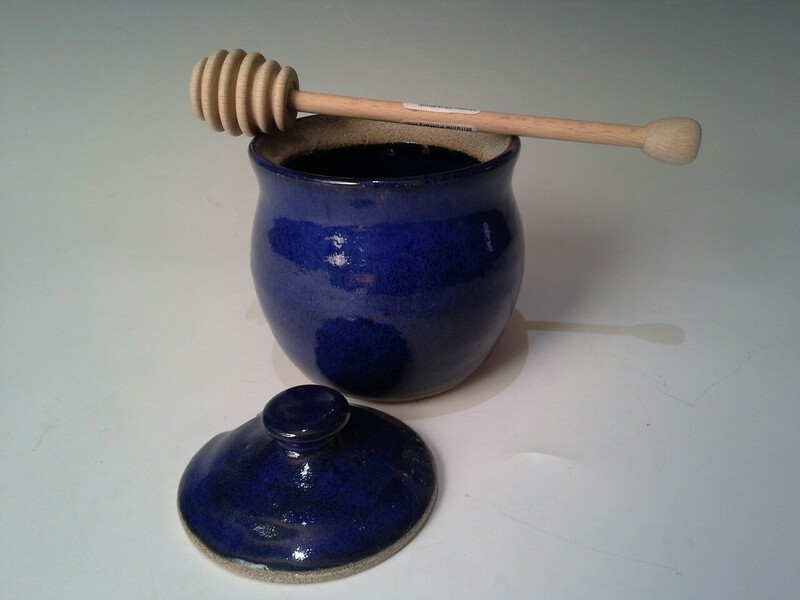 The Honey Pots are crafted from our high quality stoneware clay body and is high fired in durable glaze. The Honey Pot featured here is in our Signature pattern. Our beautiful glazes are all food safe, dishwasher safe and are wonderfully nonporous.